With Canada, it’s less about having a completely horrible logo, but rather about how disappointingly cheap it looks. Being Canadian, the maple leaf (and a bunch of different variations of it) are seen on an almost daily basis, which means that it takes a lot to create something distinctive and unique. The problem is, there are multiple ways in which the chopped-off maple leaf that they’re using as a logo for the Sochi Olympics are already used, and one that most Canadians drive by every day. 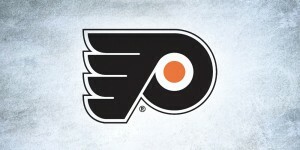 Unlike Japan’s logo, where the logo just didn’t jive with the country, there’s nothing un-Canadian about this logo. It’s a maple leaf and it says “Canada” in a font that’s been used in the past, including the 2010 Vancouver Olympics. And unlike Norway’s logo, there’s nothing odd or quirky about about it either. It’s “Canada” in a standard font and a maple leaf. But that’s the real problem, isn’t it? There’s absolutely nothing special or interesting about it and it ends up looking cheap and contrived to the point where there’s nothing inspiring about it at all. 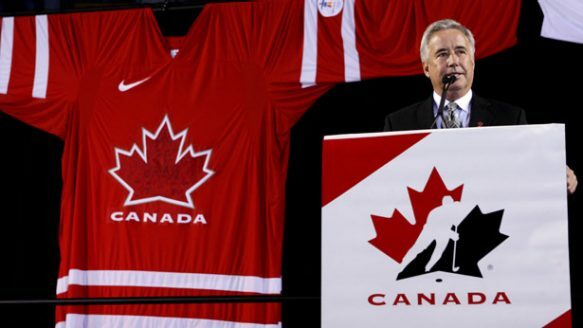 Canada’s national identity is so inextricably tied to the sport of hockey that having something so common-place and uninspiring is almost criminal. Compare this logo to what was worn for the 2010 Olympics, which was simple in it’s overall shape but had so much interesting and exciting detail subtly included. 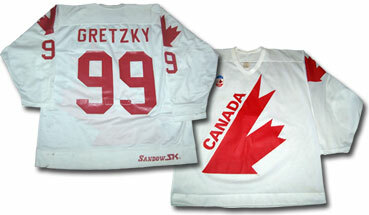 Or, compare to jerseys/logos like the ’87 Canada Cup or the ’72 Summit Series, both of which were minimal and impactful in unique and exciting ways. 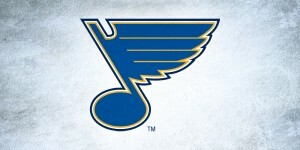 This logo is nowhere near the levels of any of these. 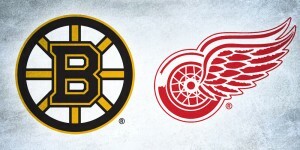 I mean, c’mon, it’s also a Canadian dollar store logo! And nothing says quality like the dollar store. 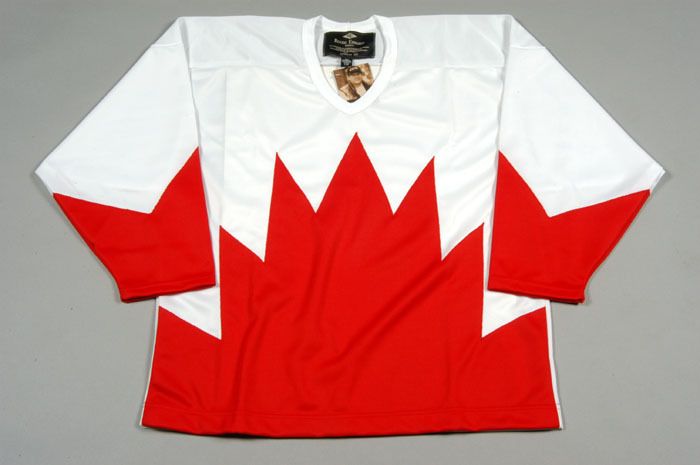 Again, the cut-off maple leaf has been done before, so it’s nothing inventive or interesting. 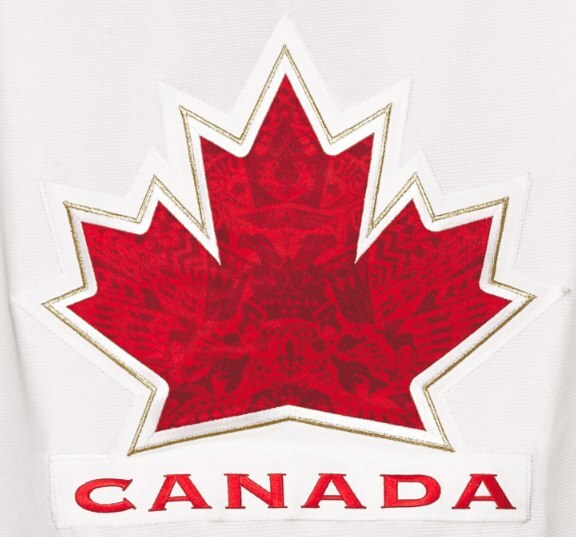 The slight gold outline around the maple leaf is thin enough that it’s unnoticeable and seems a bit cocky. Sure, Canada’s won more gold medals at hockey than any other nation, but it’s very un-Canadian to brag about it. Actually, maybe it’s time Canadians should be proud of it and brag a little bit, but maybe with a disclaimer underneath? As for the font, it’s Copperplate Gothic Bold, which is a font you probably have on your computer right now. It being a default font is definitely a strike against it, but at least it’s not an extremely commonly used default font, and it’s used in the business card that gets Patrick Bateman all sweaty and weird in American Psycho (jump to 2:30). But still, there’s a multitude of other, nicer, more unique fonts available. Again, uninspiring and it was the worst part of the 2010 Olympic jerseys too. 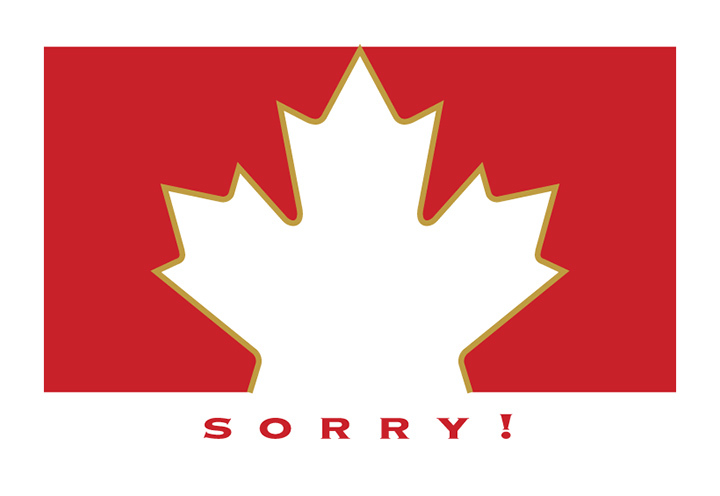 So, Canada gets an embarrassingly low ranking in the BTLOly, based on a bland, cheap-looking and uninspiring logo. There were accusations of homerism for where the Canucks were ranked in the BTLNHL Countdown, but there can’t be any of those accusations this time. Being Canadian, and having a Petro-Canada station like 30 seconds from my house, totally agree that our logo looks cheap and unimaginative. That is really too bad. I wish Nike, and/or Hockey Canada, had the same guts as the Canadian snowboarding team, who has a ’72 Summit Series inspired uniform. With the Games actually in Russia, there is a little arrogance there that is just too sweet!!! Wow, love that snowboard uniform! Awesome in so many ways! Do you want a Canada work permit visa to work in Canada as a skilled labourer,is Canada your dream land/Country?